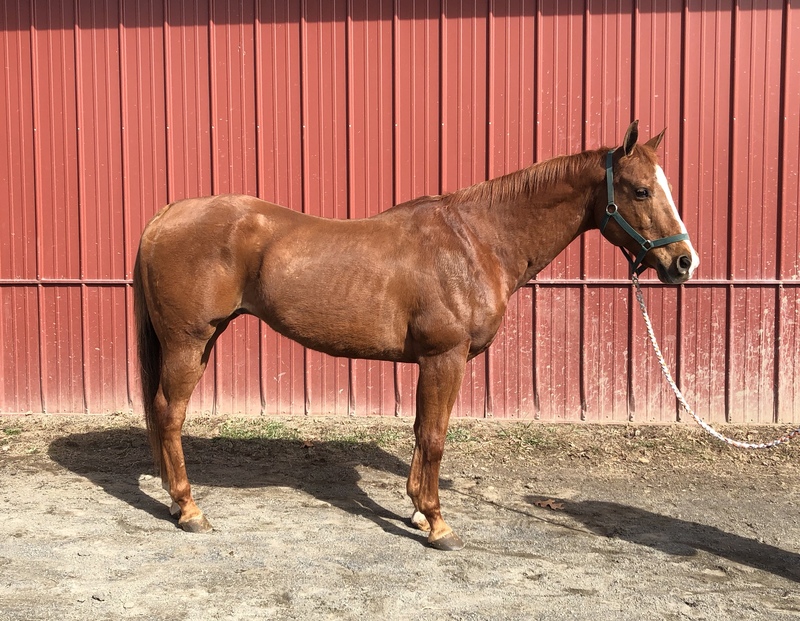 17 Chestnut QH Gelding, 12yo, 15.1 hands, Gentle "been there done that" kind of horse, has been ridden English and Western, trail ridden, crosses water, good on the road. Would make a great family horse. Picks up both his leads well, and has a smooth gaits. He is easy to catch, lead, load, haul, bathe, groom, pick feet, saddle, bridle, and great for the vet and farrier. He is a nice gelding that is well trained!